A fusion of lunar imagery, moonlight and surround sound, join the iconic event in Edinburgh this week. St.Giles Cathedral is hosting the Museum of the Moon, a touring artwork by UK artist Luke Jerram. This event starts today and will be in Edinburgh until Sunday 27th January 2019. 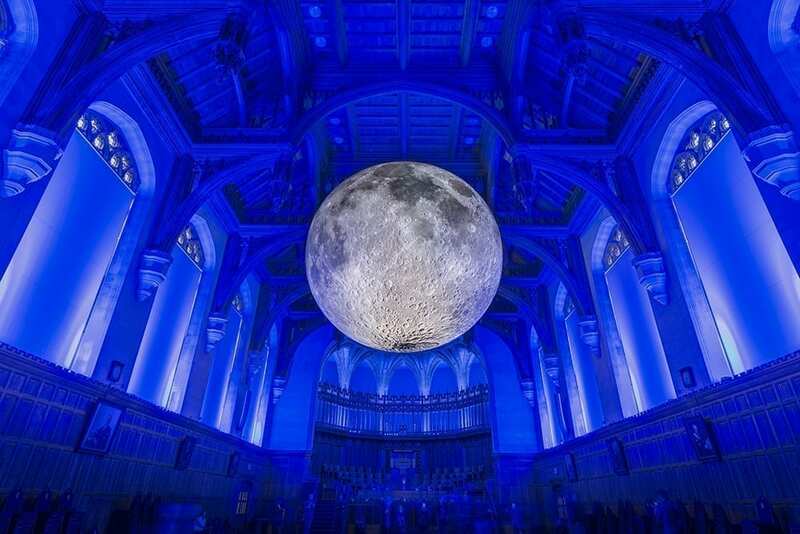 Measuring seven metres in diameter and featuring detailed NASA imagery of the lunar surface, each centimetre of the internally lit spherical sculpture represents 5km of the moon’s surface. To celebrate the installation, Burns&Beyond will present an accompanying programme of lunar inspired events, talks and concerts beneath the moon. The Cathedral will has organised candle lit evening sessions 21 – 27 January, allowing ticket holders to witness the installation in full illumination accompanied a lunar inspired soundtrack, composed by BAFTA and Ivor Novello award winning composer Dan Jones. Each timed session has a set capacity and we expect sessions to be extremely popular. We recommend you book in advance to avoid disappointment.